The Integral Somatic Psychology™ (ISP™) Professional Training aims at improving clinical outcomes through greater embodiment of all aspects of experience and all levels of the psyche in the physical body. ISP is a master training for experienced clinicians to increase their clinical effectiveness through greater integration of body, energy, and consciousness in the practice of any therapeutic modality. 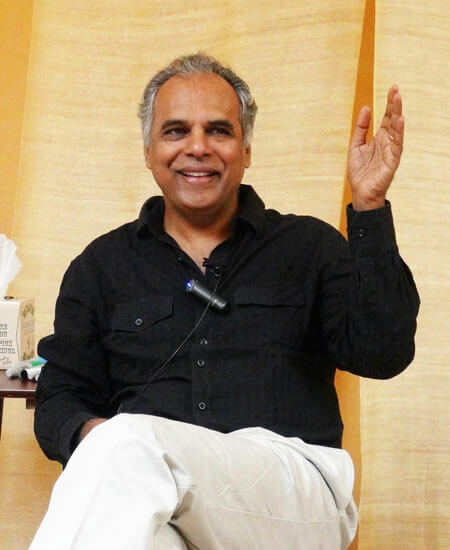 Integral Somatic Psychology was developed by Raja Selvam, PhD, senior trainer in Peter Levine’s Somatic Experiencing® (SE™) professional trauma training program. ISP is a comprehensive approach to embodiment based on Western and Eastern psychology, currently taught in over a dozen countries in the US, Europe, and Asia. For a detailed definition of Integral Somatic Psychology, the science behind it, and the evidence that supports its effectiveness in any psychological process, visit our section What is Integral Somatic Psychology? The ISP Training is an advanced level certificate program, consisting of 3 live training modules, of 4 days each. 24 CE Credits are pending for each of the training modules, for a total of 72 credit hours. Visit our CE Credits page for detailed information. For a detailed schedule and learning objectives visit the Learning Objectives and Schedules page. Learn how to work more effectively with stress, trauma, emotion, attachment, cognition, and behavior through the physical and energy bodies: How to regulate the body without destroying the very experience you are working with by excessively regulating it, a common weakness in many body-oriented and energy-oriented approaches that are currently popular in mainstream psychology. This is particularly helpful if you are trained in body-based mindfulness approaches or Somatic Experiencing (SE). For specific benefits that those trained in SE can get from ISP, please click here to download. ISP was a very helpful addition to my training in Somatic Experiencing. The emphasis on the bodily experience of emotions and how to work with them—recognize, experience deeply, and manage/regulate—was invaluable for my professional and personal growth. Is Integral Somatic Psychology the right course for me? ISP is the right course for you if you engage others in psychological work in any modality and are already working with the physical body to some extent in your individual or group practice or teaching; as psychiatrists, psychologists, psychotherapists, social workers, counselors, coaches, body workers, energy workers, meditation or spiritual teachers. Barrett, L. F. (2017). How emotions are made: The secret life of the brain. Boston and New York: Houghton Mifflin Harcourt. Bohm, D. (1980). Wholeness and the implicate order. New York: Routledge & Kegan Paul. Colombetti, G. (2014). The feeling body: Affective science meets the enactive mind. Boston, Massachusetts & London: The MIT Press. Craig, B. (2015). How do you feel? : An introspective moment with your neurological self. Princeton, NJ: Princeton University Press. Davidson, R. J. & Begley, S. (2012). The emotional life of your brain. New York: Hudson Street Press. Dossey L. (2013). One mind: How our individual mind is part of a larger consciousness and why it matters. Carlsbad, California: Hay House Inc.
Ekman, P. (2003). Emotions revealed: Recognizing faces and feelings to improve communication and emotional life. New York, NY. Henry Holt and Company. Farini, A., Lemon, R., Lewis, M.D., T. (2001). A general theory of love. New York: Vintage Books (Random House, Inc.). Goswami, A. (1995). The self-aware universe: How consciousness creates the material world. New York: Penguin Putnam Inc.
Hufendiek, R. (2016). Embodied emotions: A naturalistic approach to a normative phenomenon. New York and London: Routledge Taylor & Francis Group. Johnson, M. (2007). Meaning of the body: Aesthetics of human understanding. The Chicago, Illinois: University of Chicago Press. Johnson, M. (2017). Embodied mind, meaning, and reason: How our bodies give rise to understanding. Chicago, Illinois: The University of Chicago Press. Lipton, B. (2005). The biology of belief: Unleashing the power of consciousness, matter, and miracles. Santa Rosa, California: Mountain of Love/Elite Books. Oschman, J. L. (2003). The scientific basis of energy medicine. Churchill Livingstone. Oschman, J. L. (2003). Energy medicine in therapeutics and human performance. Butterworth-Heinemann. Prinz, J. (2006). Is emotion a form of perception? In L. Faucher & C. Tappolet (Eds. ), The Modularity of emotions. Canadian Journal of Philosophy (pp. 137-161). Calgary, Canada: University of Calgary Press. Ramachandran, V. S. (2011). The tell-tale brain: A neuroscientist’s quest for what makes us human. New York, NY: W. W. Norton & Company Ltd.
Sapolsky, R. M. (2004). Why Zebra’s don’t get ulcers. New York: Holt Paperbacks. Schore, A. N. (2003). Affect regulation and the repair of the self. New York: W. W. Norton & Company, Inc.
Schore, A. N. (2003). Affect dysregulation and the disorders of the self. New York: W. W. Norton & Company, Inc.
Slaby, J. (2014). Emotions and the extended mind. In M. Salmela & C. Scheeve (Eds. ), Collective emotions (pp. 32-46). Oxford: Oxford University Press. Talbot, M. (1991). The Holographic universe: The revolutionary theory of reality. New York: NY: HarperCollins Publishers. Aviezer H., Yaacov T, & Todorov, A. (2011). Body cues, not facial expressions, discriminate between intense positive and negative emotions. Science, 338 (6111), 1125-1229, doi: 10.1126/science.1224313. Balcetis, E., & Cole, S. (2009). Body in mind: The role of embodied cognition in self- regulation. Social and Personality Psychology Compass, 3 (5), 759–774. Borghi, A. M., & Cimatti, F. (2010). Embodied cognition and beyond: Acting and sensing the body. Neuropsychologia, 48 (3), 763–773. Damasio, A., & Carvalho, G. B. (2013). The nature of feelings: Evolutionary and neurobiological origins. Nature Reviews Neuroscience, 14 (2), pp. 143-152. Hung, I. W., and Labroo, A. (2011). From firm muscles to firm will power: Understanding the role of embodied cognition in self-regulation. Journal of Consumer Research, 37 (6), 1046–1064. Kreibig, S. (2010). Autonomic nervous system activity in emotion: A review. Biological Psychology, 84 (3), 394-421. Laird, J., & Lacasse, K. (2014). Bodily influences on emotional feelings: Accumulating evidence and extensions of William James’ theory of emotions. Emotional Review, 6, 24-37. Niedenthal, P. (2007). Embodying emotion. Science, 316, 1002-1005. Nummenma, L., Glerean, E., Hari, R., & Hietanen, J. K. (2016). Bodily maps of emotions across child development. Developmental Science (19, 6), pp. 1111- 1118. Parker, C., Doctor, R.M., Selvam, R. (2008). Somatic therapy treatment effects with tsunami survivors. Traumatology, 14 (3), 103-109. Price, T. F., Peterson, C. K., & Harmon-Jones, E. (2012). The emotive neuroscience of embodiment. Motivation and Emotion, 36, 27-37. *Integral Somatic Psychology is neither a regulatory nor licensing organization and therefore not sanctioned to certify, license, or otherwise bestow the legal authorization to practice as a mental health professional.